The best way to get to know a community is by scheduling a tour. See the facilities, meet the staff and residents, and get a feel first hand what it's like to live at Hillhaven Assisted Living, Nursing & Rehab Center Assisted Living. For over 30 years, the Malin family has developed a dedicated, caring staff. These compassionate and professional team members are committed to each resident's quality of life. 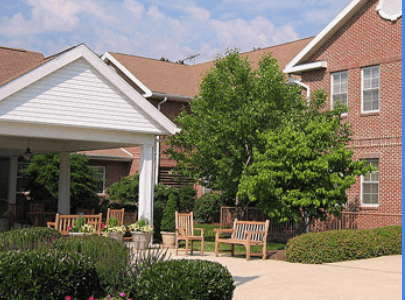 Hillhaven offers assisted living, complemented by respite and rehabilitation services, skilled nursing and hospice care. A smaller family-owned and operated community means more personalized care and dedication to your needs. Residents are able to choose from seven spacious room layouts where we offer varying levels of support so that you may maximize your independence with assistance in personal care such as dressing, grooming, wellness, monitoring, and coordination of services and providers. Medication assistance, 24-hour resident emergency response, safety and nutrition (No pork or shellfish products served). We provide therapeutic and recreational activities and the opportunity for resident and family participation. Amenities and Services you can enjoy and enhance your independence are: Fully accessible building design, peaceful landscaped grounds, Barber/Beauty Shop, Wellness Center, 24-hour 7-day a week Nursing Staff, complimentary Linen and Towel Services, and Housekeeping Services included. The Memory Care Unit specializes in residents with memory issues who may need gentle reminders or hands-on assistance to perform daily tasks. Residents in our Memory Care Unit benefit from a team of staff that has been trained to work with residents that have memory issues such as Dementia or Alzheimer’s. This is a secure, home-like environment which includes a dining room, leisure/activity room, and a secure courtyard. Reading in the library or by the fireplace in the living room.